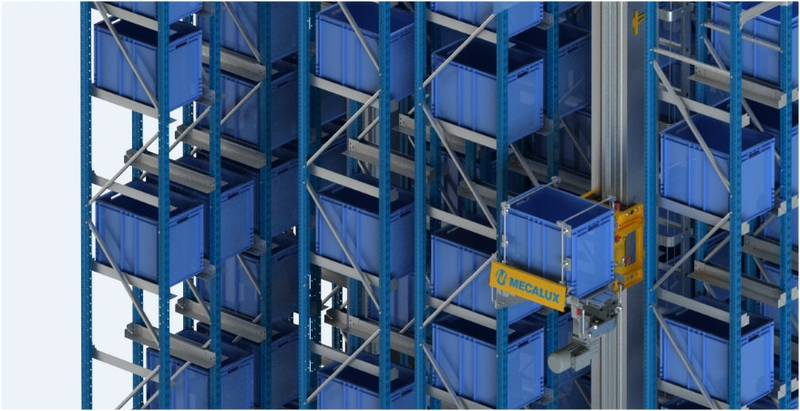 Clics Toys, a ‘Click N’ Play’ toy maker, will achieve top productivity and get an efficient picking system thanks to a new automated warehousing system for boxes in Wuustwezel (Belgium). This solution gives storage capacity full play, providing the company with up to 7,800, 400 x 600 mm boxes for goods. The warehouse will consist of two, 40 m long aisles and 5 m high double-depth racks on each side. A stacker crane will run inside each aisle, responsible for tote inputs and outputs from the corresponding locations in a fully autonomous manner. An installed conveyor circuit will be the highlight of one end of the racks, shifting boxes to the different assigned aisles. These conveyors will also fulfil orders as per the "product-to-person" principle, i.e., the stacker crane will supply the operators with the goods needed to put each order together. Founded in 2001, Clics Toys is a Belgium company and creator of the Clics construction toy sets. By clicking the toy blocks together, you can build anything from a toy airplane to a car, or boat, or castle and much more. Since its launch into the toy market, millions of children in more than 40 countries worldwide have let their creativity run free with these multi-coloured playthings.